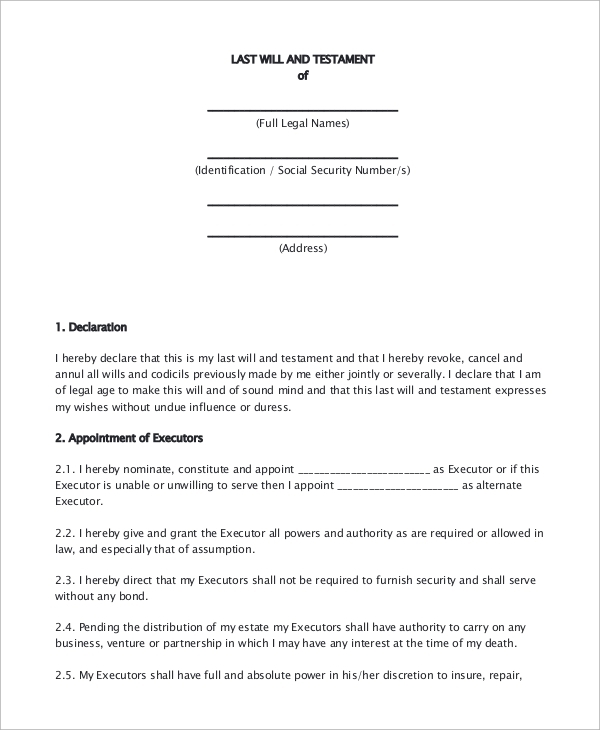 Wills are legal documents that are prepared by a person before their death, stating the way in which their properties, assets, and liabilities would be divided among the persons surviving them after their death, usually them being the relatives or other dependencies of the person composing the will. The will is accompanied by a testament written by the same person that states the thoughts, beliefs, and the last wishes of the person. The following is a list of living will Form Samples. Usually, the Last Will and Testament Form of a person are written together as a part of a single document called “(Last) Will and Testament”. 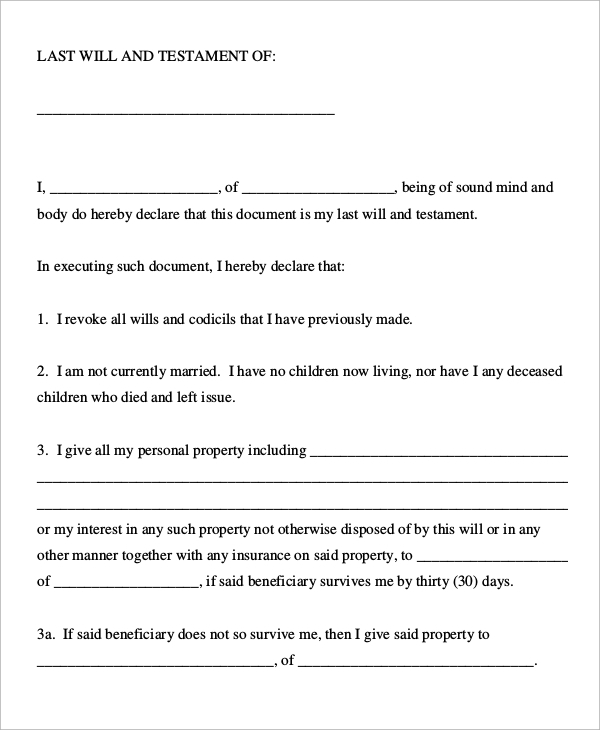 Will and testament forms can appear in any order; the testament might be written first or vice versa. 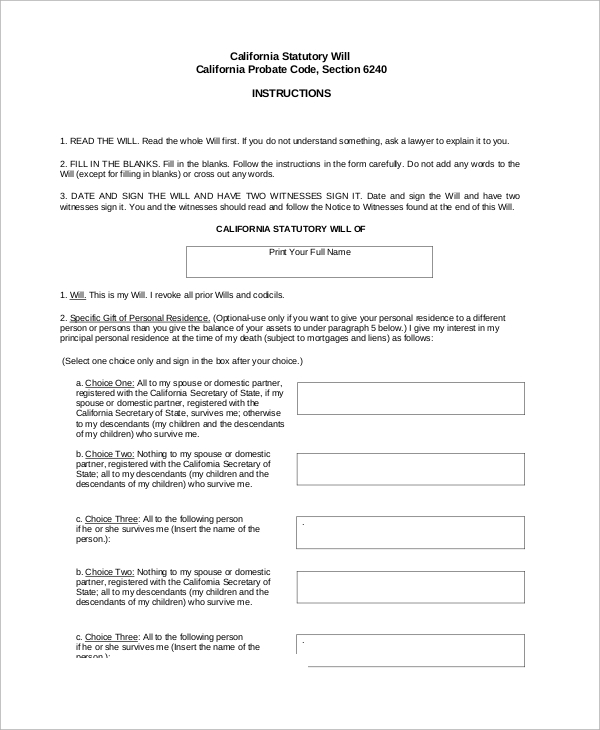 When will forms are subjected to be formatted according to the law, they are called statutory will forms. Statutory will form follow the provisions as described by the law with regards to the composition and writing of will forms. Sometimes, a person may compose some wills while they are alive. Such will forms reflect the person’s personal opinions and the assets or properties that they own and the kind of proximity they have to their relatives. The Living Will Samples are useful for all kinds of persons, but they are of main use for individuals who own property and assets and owe liabilities. 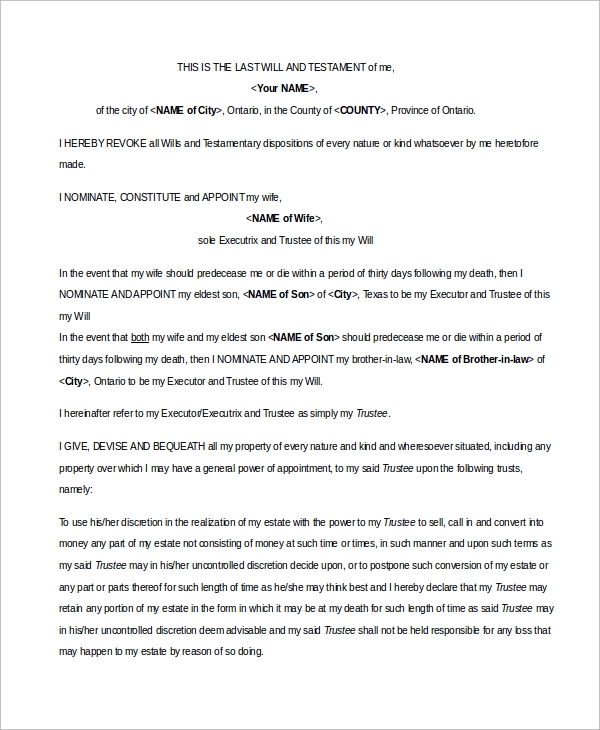 These will forms mitigate or prevent any untoward disputes or arguments that may arise in the absence of a proper will and testament. 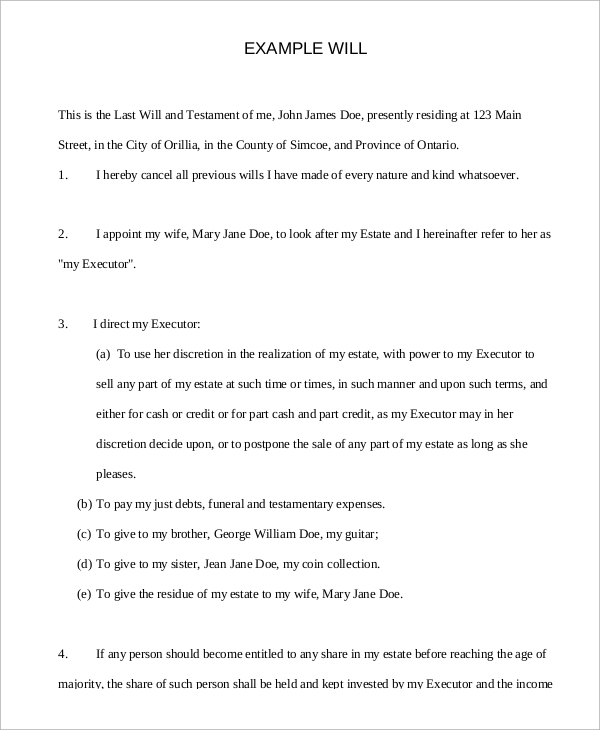 So it is useful to know how to create a will and testament so that all disputes about the division of property are resolved, and it allows for a smooth division of property, assets, and liabilities among the relatives and dependents of the person who composed the will. 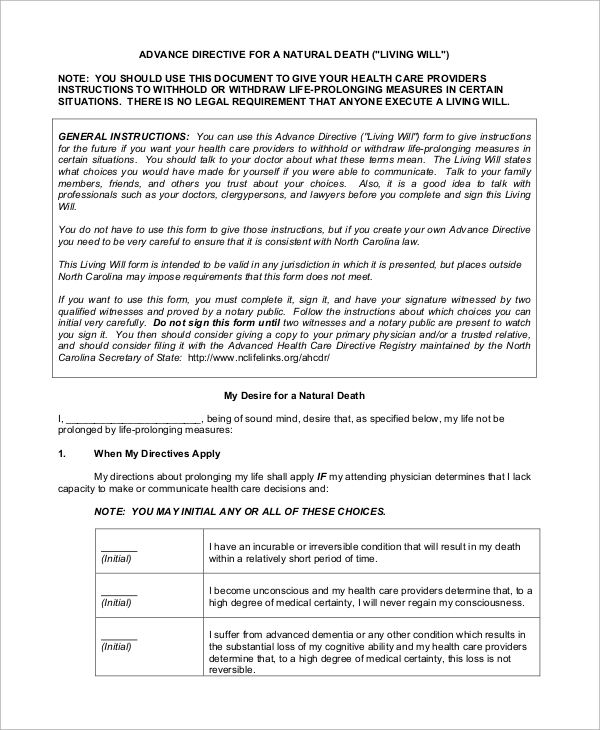 An optional living will form is a peculiar kind of will, in that the person writing the will may have the wish to die in the case of a terminal medical condition or in an unconscious state. The living will samples are aimed towards all individuals who desire to divide their properties and assets among their relatives and other dependencies. 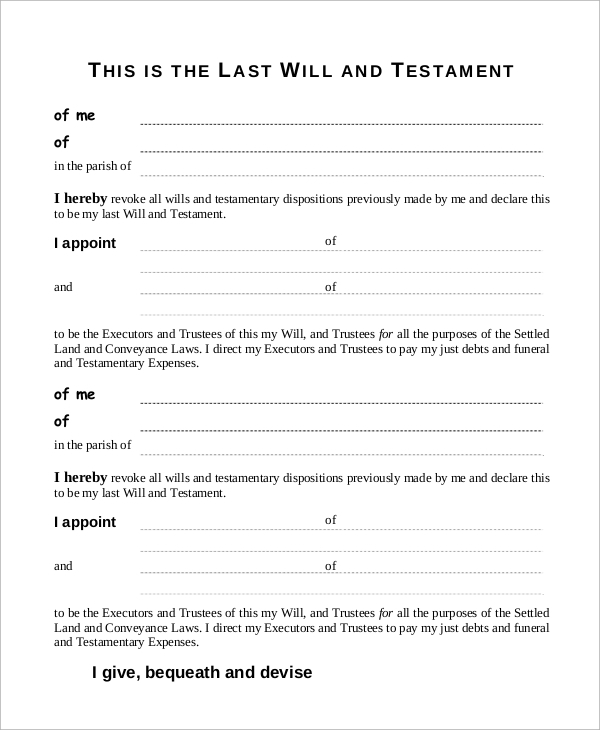 These will form samples will come in handy for any individual who wish to create a good will and testament and have thus, have some legal basis for the choices they make prior to their death. 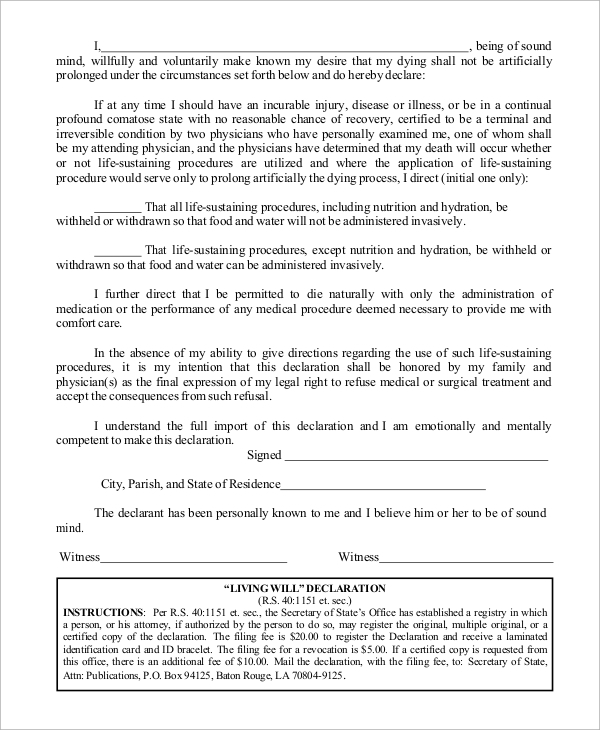 By doing this, they make their wish to be final and irrevocable, allowing it to have some legal basis so that in case of a dispute, the will can help to determine the legal outcome of the dispute and aid to resolve any future points of contention based on the will. You can also see Release Form Samples. We have a large number of Sample Living Will Form which you can utilize the one that suits your purpose. 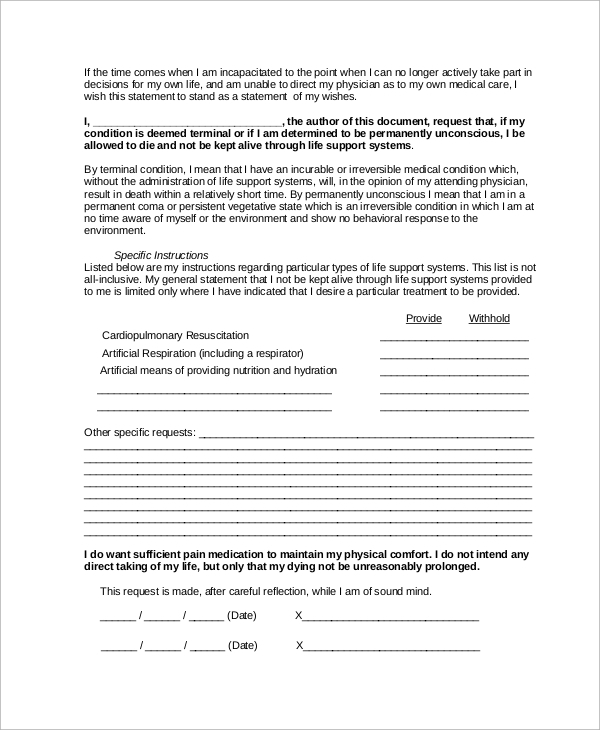 Being editable, these forms can be edited to have the information as far as the needs of the user are concerned, or they can guide you to make your will.